Welcome to Cornhill Townhouse & Garden Apartments in Rochester, New York. Residents can experience the convenience of our close proximity to Downtown Rochester as well as maintenance-free living in our country-style community. Enjoy living in a peaceful environment that is family-friendly and pet-friendly! Our spacious homes boast cathedral ceilings, plush carpeting, and private balconies. In addition to these thoughtful touches, residents will enjoy our all-electric kitchens, full basements, and outdoor living areas. The seamless commute from our community to the University of Rochester's campus makes us an ideal spot for college students, staff, and faculty to settle down. Enjoy a warm, peaceful environment with access to everything you could possibly need and become a resident of Cornhill Townhouse & Garden Apartments today! When you live at Cornhill Townhouse & Garden Apartments, you will enjoy seamless access to local parks, restaurants, and other forms of entertainment. 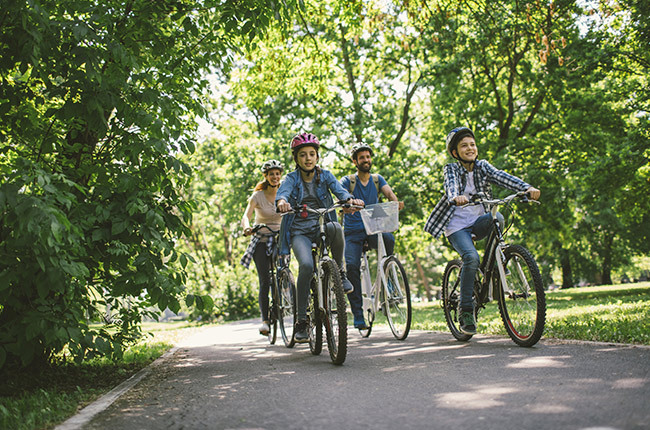 Those who prefer outdoor recreational activities will adore the running, jogging, and cycling routes within the area such as Genesee Riverway Trail Extension and Genesee Crossroads Park. Whether you’re craving American-style barbecue or international cuisine, indulge in the tasty bites found at Dinosaur Bar-B-Que or Tony D’s. Looking for a bit of entertainment on a weekend evening? We are minutes from Interstate 490 Expressway, which provides a quick route to Downtown Rochester. You can even catch a live performance at Eastman Theater or Geva Theater. Despite what type of lifestyle you may lead, Cornhill Townhouse & Garden Apartments accommodates residents from all walks of life!